If you are a follower of my blog, you will know I'm having a bit of play around with various subscription boxes. At the moment I have my Horror Block & Pop In Box, but I've wanted something unique and girly for me and my daughter to share. I'm a massive fan of Kawaii & Harajuku items already and I've saw the Kawaii Box pop up in my newsfeed a few times and I've always loved the cute items inside. I was thrilled to be asked to review one and share my thoughts. 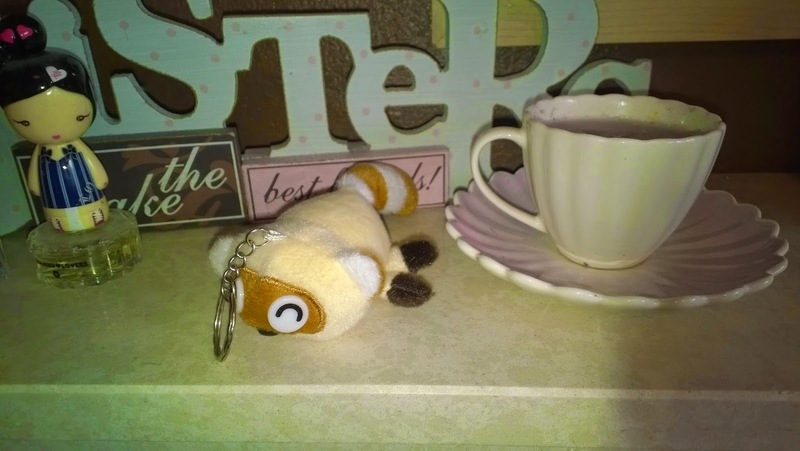 If you aren't familiar with Kawaii Box it is a monthly subscription box with 10-12 hand picked Kawaii items. 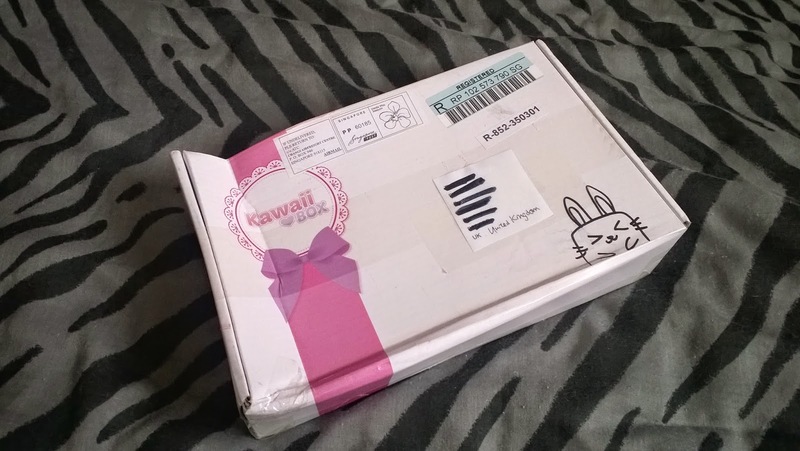 Every month they send you a box filled with a carefully selected mix of unique Japanese and Korean Kawaii cute products. The cost is $18.90 with free shipping, which works out around £12.60 GBP. I actually think the price for this box is extremely cheap and free shipping is always a bonus as it comes all the way from Singapore. As you can see my box arrived a little squished, but everything inside was in perfect condition. 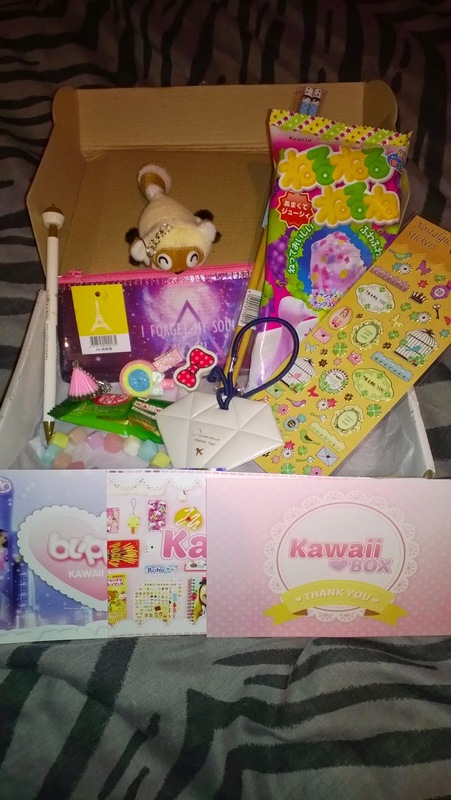 The box comes with the Kawaii Box sign and a cute little cartoon rabbit on. 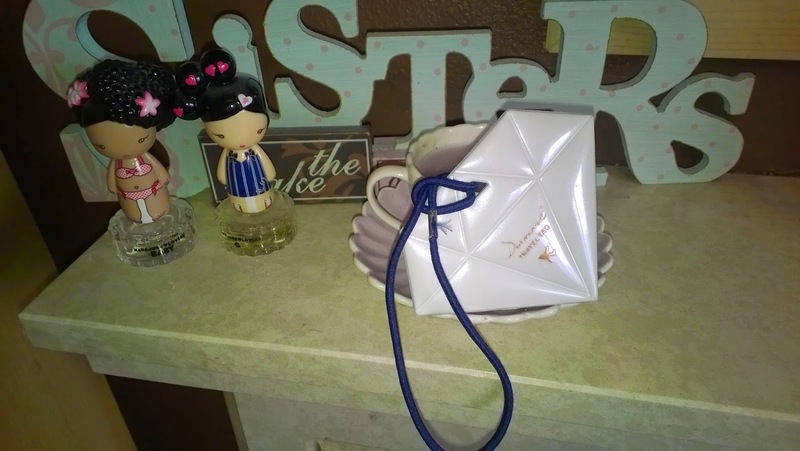 We was really surprised to see 12 items included in the box and its a great assortment of different products. First of all there are three little postcards with different things on, one has a cute saying with thank you, code 10% off for the blippo store, then the last card ha wall the social media buttons on and the website address. 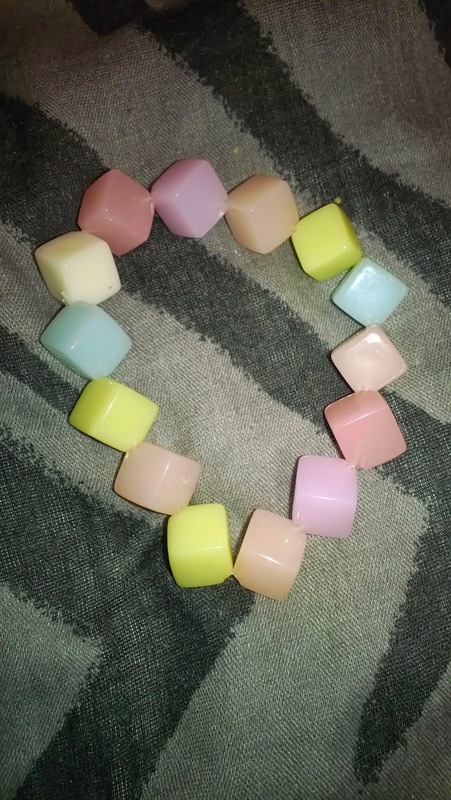 First out the box was this stretchy cube pastel coloured bracelet. The colours are really great for spring and it something I would wear on a day to day basis My daughter has claimed it hers for the time being though. Next was a very classy white glossy diamond travel tag to pop on a suitcase or hand luggage for when you go on holiday. This isn't something that I would generally use but it something I'm going to pass on to my sister for when she goes away. 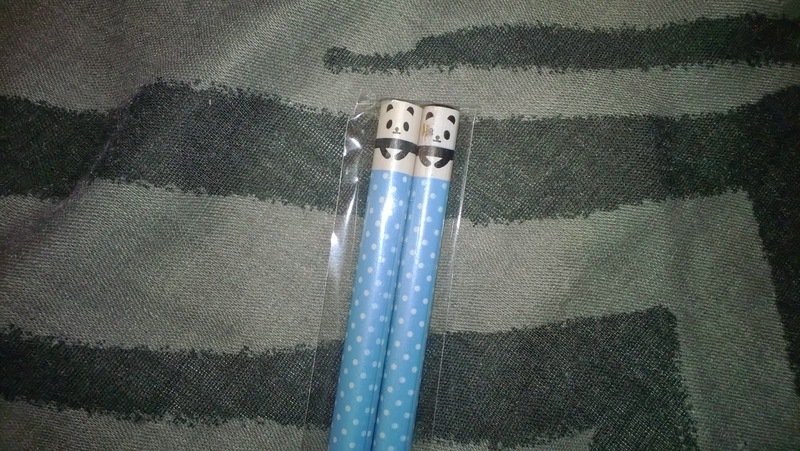 These panda chopsticks was my favorite item. I've always wanted to own a pair of chopsticks but never been able to pick a pair up. These are mega cute with panda face son the top of them and a lovely polka dot pattern. 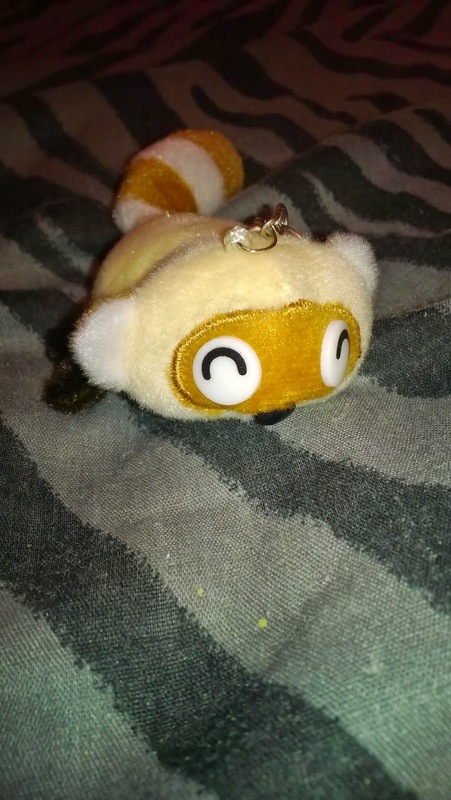 My daughter has pinched the next item to go on to her school bag, which was a cute and very cuddly fluffy raccoon keyring. 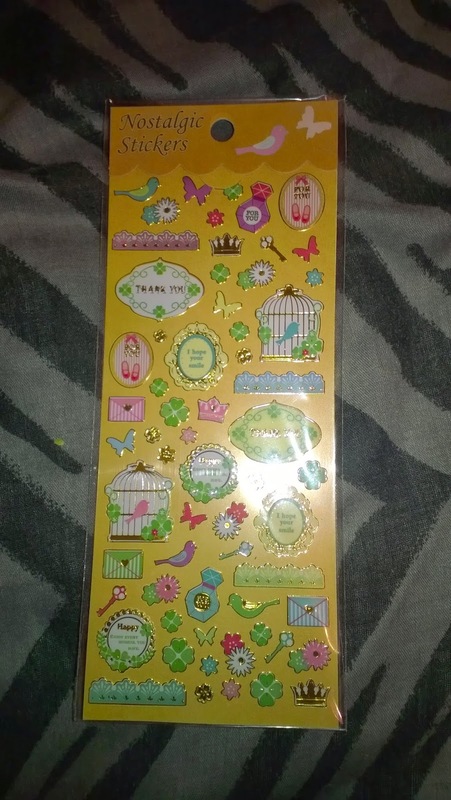 The Nostalgic stickers are really nice with lots of detail, they would be great for cards, if me and the kids are making a special card for a family member. 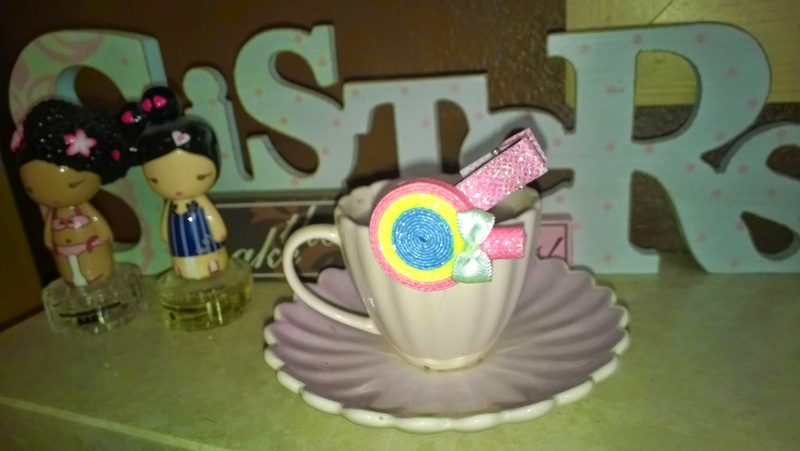 The lollipop hair clip is a bold, bright and super glittery. 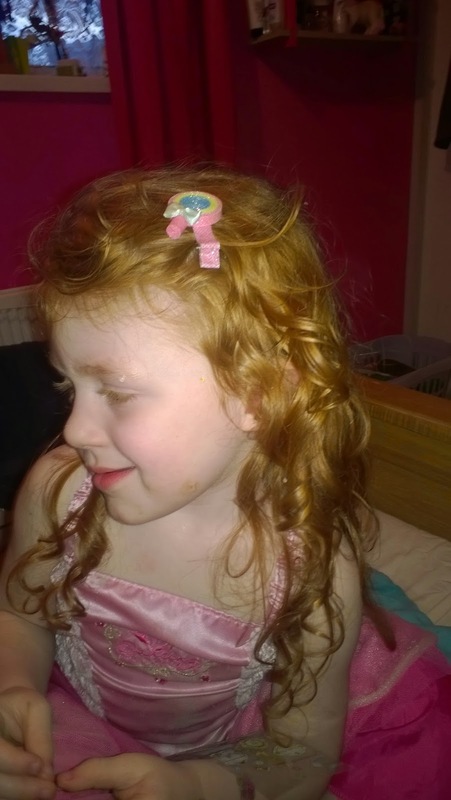 The clip itself is a strong clip and it actually stays in my daughters hair and doesn't fall out. We have a huge problem with slides just slipping out her hair and her losing them. So this is perfect for keeping her hair from out of her face. 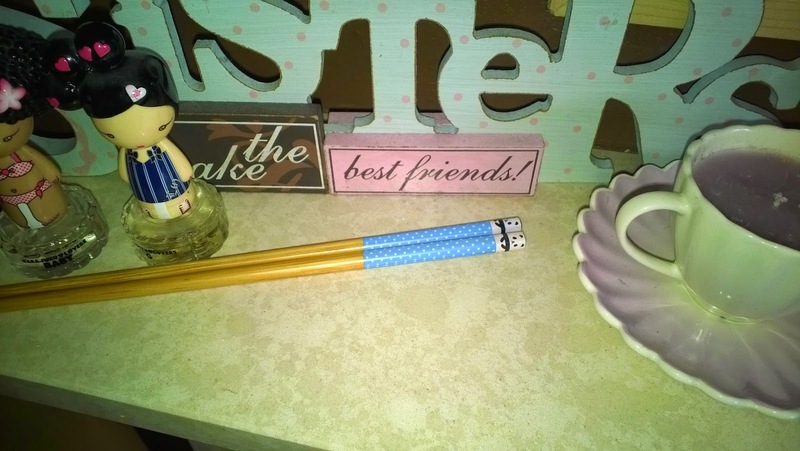 The bow eraser is a great novelty item and it's something that always comes in handy as I can never normally find one when its home work time. 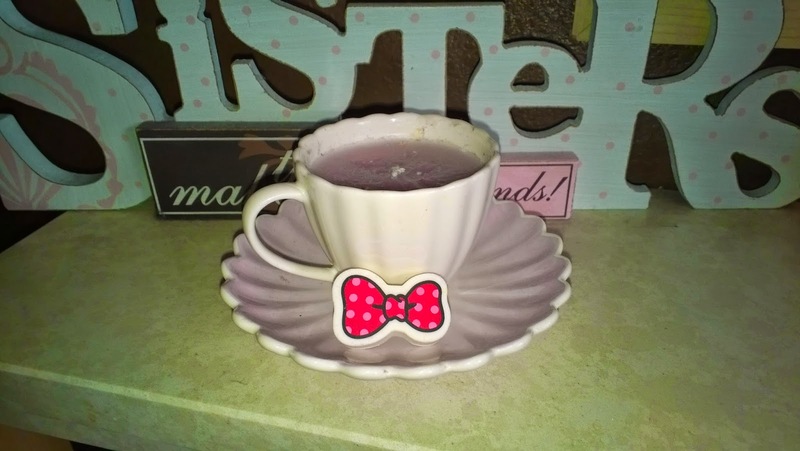 The bow itself reminds me of Minnie Mouses bow that she wears in her hair. 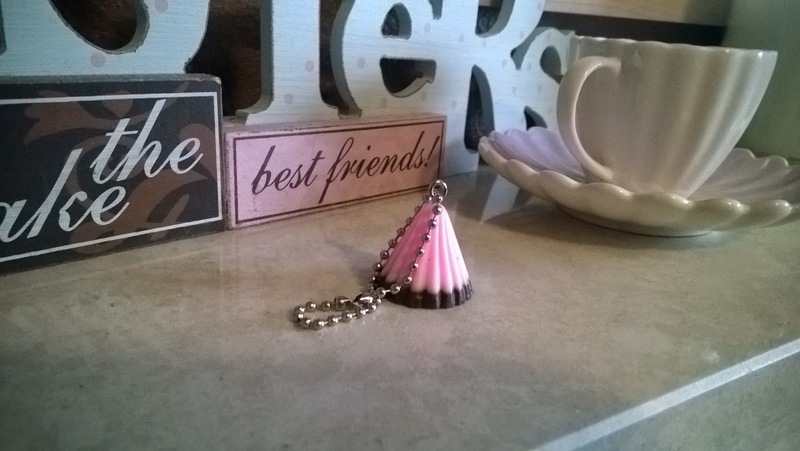 I loved this very dainty chocolate cup key chain which went straight on to my Keys after I took a photo. 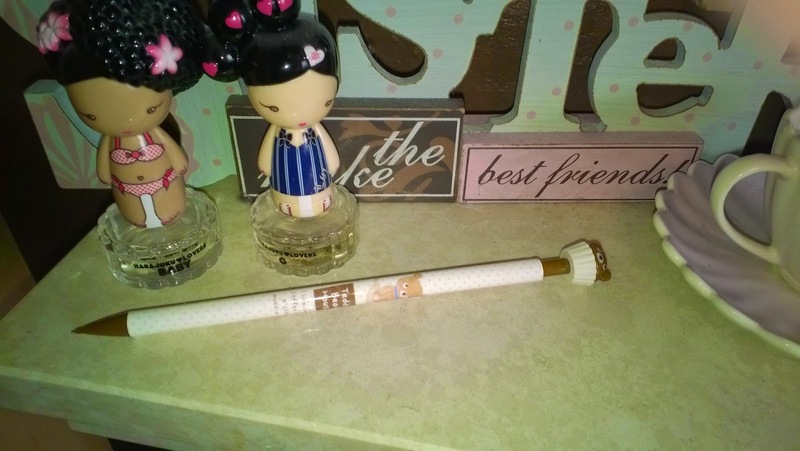 The bear pencil was my second favorite item and again it's always great to have another pencil around, as they seem to disappear when I need them. The mesh back pencil case, I've been using to store little misses hand bobbles and bands as they seem to appear everywhere. 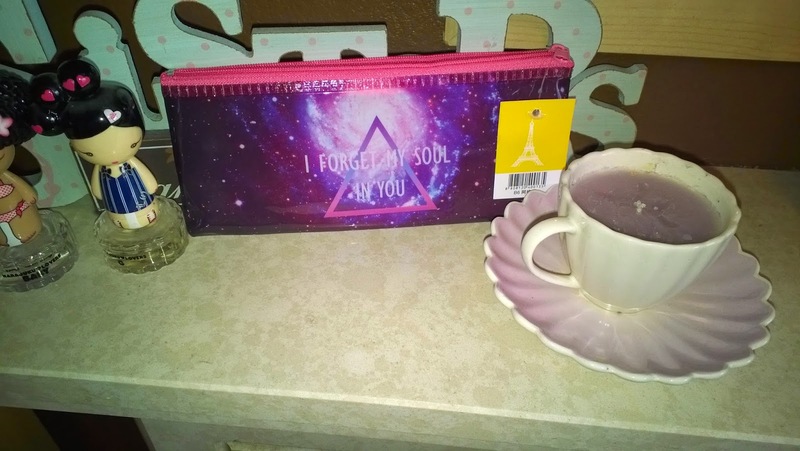 It has " I forget my soul in you " written on the front. 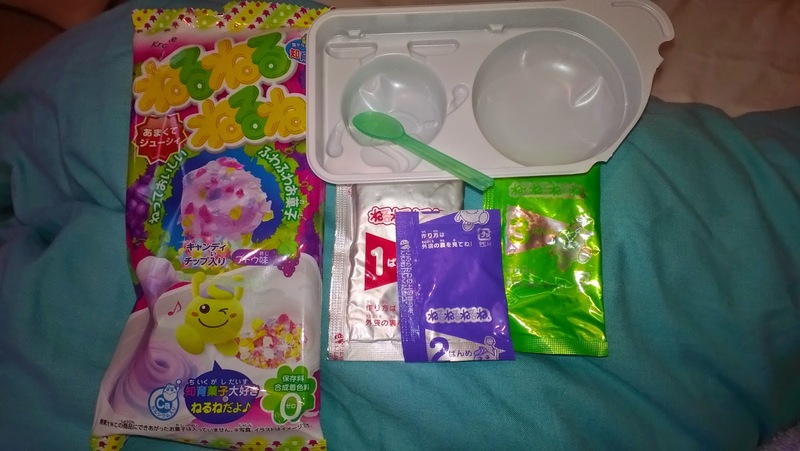 There was two food items in the Kawaii box that I had never seen before and it was really exciting to see and taste them. 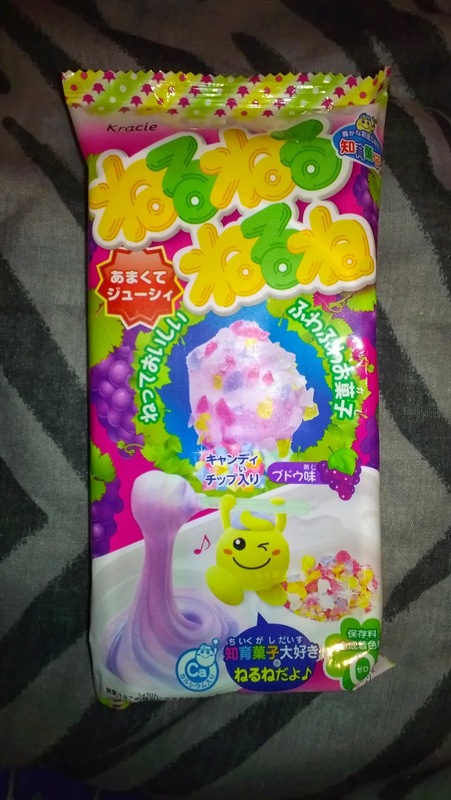 First was a Nerunerunerune packet, where you add the first packet and water to form a soft candy. 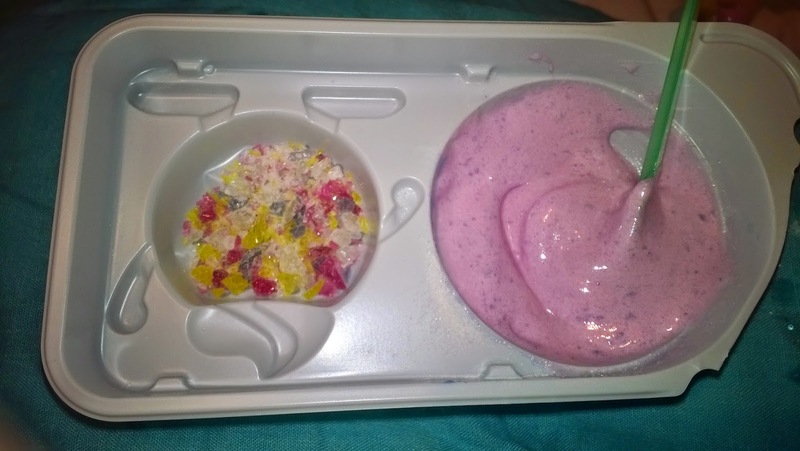 Then you add another packet and it changes colour and taste. You stir it all together then add the candy rocks. The kids loved it as it tasted like bubblegum but it was a bit sweet for me. 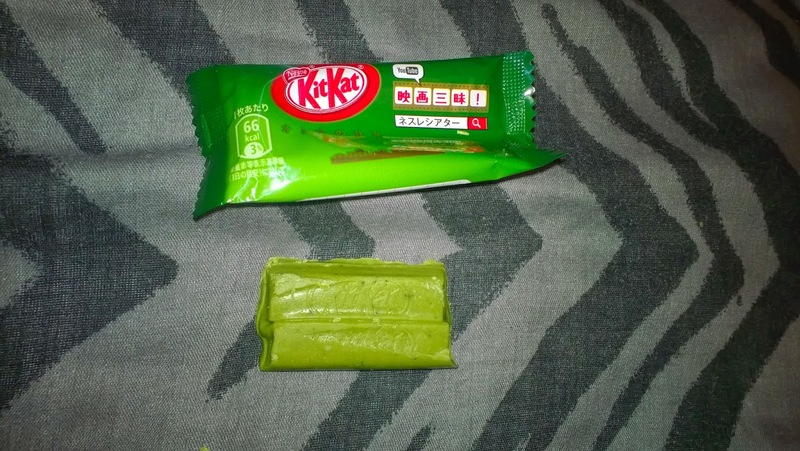 The last item was a Kitkat macha, which I have never seen the macha flavour ever before. It was nice to have something I've seen in the UK but a totally different flavour. 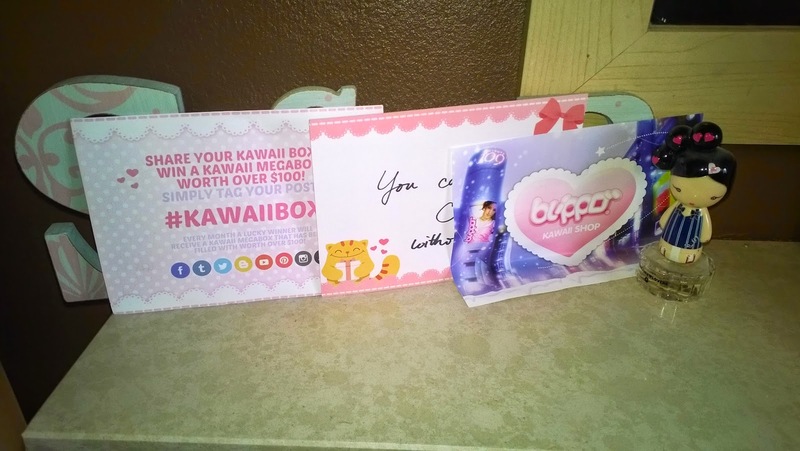 I loved my Kawaii box and the contents and it's something I'm going to sign up for, to add it to my monthly subscription box.